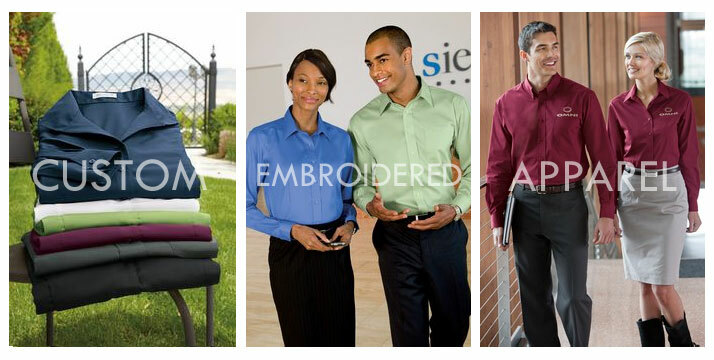 Our custom embroidery services will bring your company to life on all apparel. Our embroidery team can create custom embroidered baseball hats, golf polos, jackets, hoodies and t shirts with your custom design or logo. Embroidered monograms and personalizations are a great way to customize items for that special moment. Get your embroidered apparel today! We purchase directly for t-shirts, polos, baseball hats, and tote bags so that we can offer discount embroidery services. Prices are calculated on a per stitch basis. We digitize your custom design or business logo to determine the stitch count. 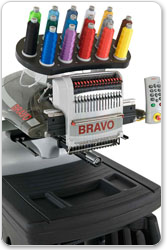 The stitch count indicates the amount of time required to embroider baseball hats, golf polos, and t-shirts. 16 Needles for High Production output! Large printing for Jackets up to 14.7" x 11.18"
If you're interested in having us create a custom embroidery job for you please Contact Us today for your free Estimate!